. From low-mass to high-mass stellar regimes our comprehension of several of the critical steps in which this complex phenomenon unfolds, has been steadily improving over the past decades. el would give solid physical foundation to commonly used prescriptions for star formation rates and efficiencies, providing the much needed link toward the extragalactic perspective. 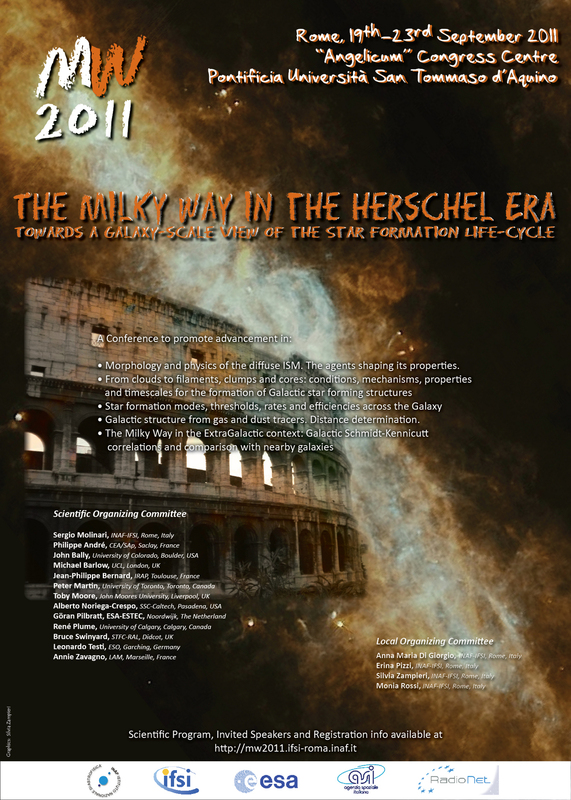 By spring 2011 the major Galactic photometric surveys with Herschel will be completed, with high-quality data products starting to enter the public domain, allowing for the first time a high spatial resolution panoramic view of the Milky Way Galaxy over more than three decades in wavelength from the near infrared to the microwaves regime. The synergy with large-scale Galactic spectroscopic surveys of the atomic, molecular and ionised interstellar medium offers the unprecedented potential to paint a Galaxy-scale picture of the entire birth sequence of stars from the diffuse interstellar medium to the arrival of the forming stars on the Zero-Age Main Sequence. * Morphology and physics of the diffuse interstellar medium; the agents shaping its properties. * Galactic structure as traced by the atomic and molecular ISM and by the young stellar population. Distance determinations. * The onset of star formation. Star formation thresholds, their origin and their location in the Galaxy. * The evolution of mass function from filaments and clumps, to the stellar IMF. * Star formation modes and their Galactic budget: ³spontaneous² vs triggered. * The timeline for the formation of stars as a function of mass and environment. Star Formation rates and efficiencies across the Galaxy. * The Extra-Galactic view of the Milky Way. We foresee stimulating formats for focused discussions, where current theoretical frameworks for each of the above topics will be critically reviewed in the light of the latest observational results.